﻿ What new you can do, to make poker more interesting? Have some fun from the game. What new you can do, to make poker more interesting? Have some fun from the game. Do you know how the chips were invented? By chance a piece of potato fell into a bowl of hot oil. And do you know how much of different materials Edison used, before he invented the tungsten? Few thousands (including a hair from red-haired Scot). That non-poker example shows us that sometimes you need an accident to discover something or a lot of crazy tests. In poker it is very similar, sometimes if you want to see something interesting, you need to work it out. Personally I really like to play poker, mixed different styles in different situations. Of course I`m doing all of this in very neutral conditions, where the result is not so important. In addition I am sometimes in very strange situations where every decision is very hard, but it gives me a lot of satisfaction. One of new possible things is a wider range of hands. Maybe it is the time to limp few times Q3s from middle position, or even raise with K8? Why not? T7?- of course. It all depends from your imagination. Mostly you need to get rid of any fear and established standards. Actually you can play every hand, the only one thing that can stop you is your common sense, because if somebody is raising from UTG, and get reraise from next player, then I think that it is not good time to call with K3. Wait a second, why not? Come on, it is deep stack, you can do everything you want if you know that you don`t have to go all-in preflop. Next thing is play without any position. With a combination of random hand it is really crazy game. Well, if you will play good in this style for an hour, it will be great success. It is very possible that because of this you will get to know how donks are thinking and you will also find in few absolutely sick situations – but it is all about. Of course if you don`t feel comfortable on your stakes, then play on lower stakes, it will be easier. If you play whole time in cash games then maybe it is the time to play some sit and go tournaments – maybe it will shows that you fell like a fish in water in sng or maybe it will be just a good distraction from the daily grind-based gameplay. Maybe HUSNG? It really can teach you a lot about poker. 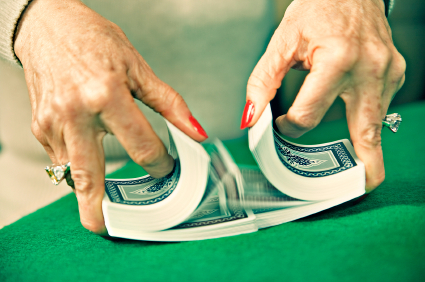 You can learn how play with almost every hand and reading opponents and their game. And of course multitable tournaments, sometimes you can play them for a week to discover absolutely new face of poker, because as you know – nothing works better for your imagination than winning in 300k GTD. Now it is time to change game, Omaha, Stud, Razz, Limit Holdem. There is a lot of poker forms, and some of them are really interesting. Omaha is crazy game, but if you can play in Omaha than you can get a lot of money from weaker players. Stud is much calmer, but it gives you great opportunity to show how good you are at reading opponents and it gives you a chance do use your cards to big bluffs. For me every way to development is good. It is important to have an imagination and common sense in getting into the new world. Be careful, because sometimes it can put you on the wrong track, however in most cases it puts you in completely new situations and let you to understand poker much deeper than before. Even if you don`t want to combine, because your style works good, it can be great break from daily grind. So do it poker player! New horizons just waiting for discovery!